Oklahoma ASDA holds the Vendor Fair twice per academic year (Fall and Spring). This an excellent opportunity for students and faculty to learn more about products, services, technologies, and resources currently available. Students, faculty and vendors attending the Vendor Fair enjoy complimentary dinner and drinks during the exhibition. Students are also invited to participate in giveaways for speaking with all corporate attendees. 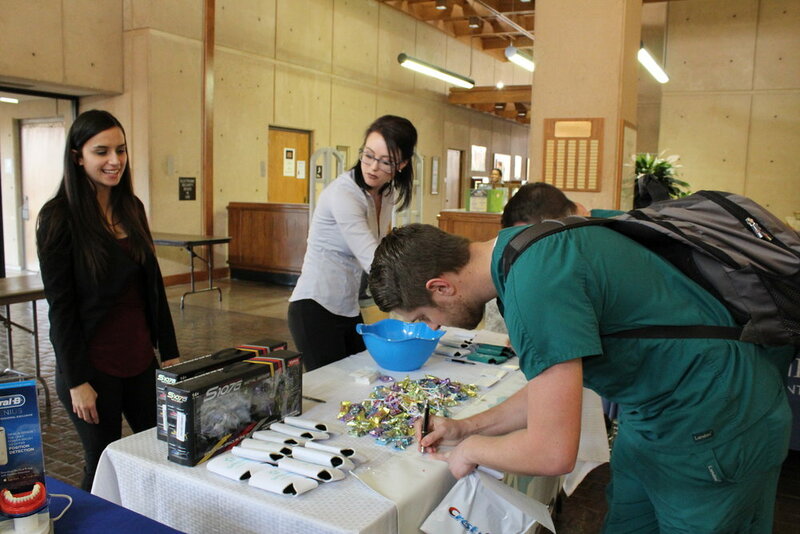 Previous giveaways have included Apple products, electronic toothbrushes, board exam resources, and gift cards. If you have any questions about the Vendor Fair or sponsorships, please contact Kate Littlefield (mary-littlefield@ouhsc.edu) or Cheryl Fleming (cheryl-fleming@ouhsc.edu). Why should I attend the Vendor Fair?